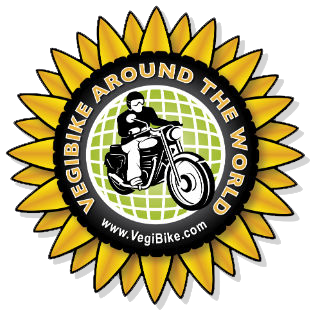 These 2 days have been all about getting Batty serviced and seeing if I can get my Indian adjusted so that I can go to Nepal for a few weeks and then return to India. By chance I noticed, in the smallest of type on the visa, that you cannot return to India for 2 months if you leave. This is apparently a way of stopping people staying for the 6 months, popping over the border and getting another 6 months visa and popping back again. A pain but just one of those things. 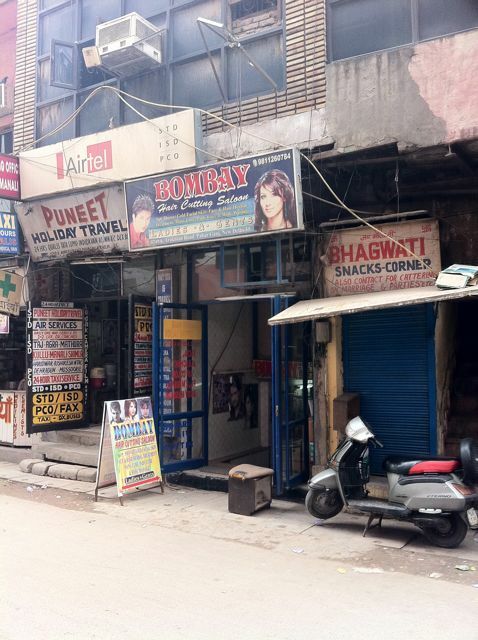 I had been for a bit of a recce to this area called Karol Bagh on Sunday. 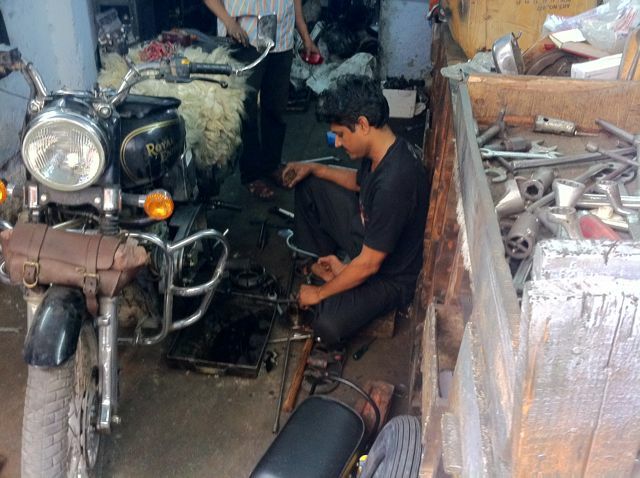 It is the home of all things motor vehicle in Delhi and where there are a lot of Royal Enfield mechanics and sales. Not knowing where to start I asked a couple of policemen, who were on Royal Enfields, who they thought would service the bike well. They immediately suggested Madaan Motors, as did another chap I had asked, so felt pretty confident. I was greeted by Sohan Lal Maddaan, the 79 year old founder of the business, and immediately put my mind at rest about sorting Batty out. Particularly once we had established that we knew someone in common. Non other than Henry Price, who had built Batty. I gave him a long list of things to be done and left her to their tender care. I went off to the FRRO office to see about the visa. After an hours wait in line I was told that I had to have a letter from the Ministry of Home Affairs, which was closed for the day when I got there. Back at Madaan's I met Shan Lal's son Arun, who had Henry on the line and we chatted about the service that Madaan were doing and his visit to Delhi next week. Returning a few hours later and after a few finishing touches, rode off on a refreshed Batty. They had put a whole new clutch assembly in and the difference was amazing.